This song dropped on Youtube and iTunes earlier this week, and it will be featured on the band’s new album ‘Babel,’ which will be released on September 24th! 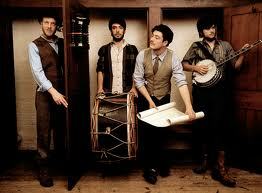 In typical Mumford fashion, “I Will Wait” is extremely catchy. Even though the video is just a clip of driving down a road, I sat and watched it the whole way through because the song is that appealing! You can preorder the album at mumfordandsons.com and purchase the single on iTunes here. New Video – Passenger "Holes"